The Santa Fe has been a slow selling model for the brand for a while now. The company introduced the Santa Fe to take on the likes of the Fortuner and the Endeavour and wanted to provide a premium and comfortable alternative to them. However, due to its high price point and the recent update of both the Fortuner and the Endeavour, things haven’t gone in favour of the Santa Fe. You can now have a discount of upto Rs 2.5 lakhs on the Santa Fe. Power comes from a 2.2 liter engine making 194 Bhp and 437 Nm. It can be had in both 2wd and 4wd variants. Honda launched their Creta and Duster rival, the BR-V last year. While the compact SUV segment has been rapidly growing, the BR-V isn’t doing the numbers that Honda would have hoped, even though it has 3 rows of seating, a segment first. The BR-V can be had with a discount of upto Rs 1.28 lakhs based on the variant chosen. The maximum discount is on the top spec VX manual trim though. The vehicle is powered by either a 1.5 liter petrol engine making 118 Bhp and 145 Nm or a 1.5 liter diesel engine making 99 Bhp and 200 Nm. The petrol can be had with a manual and a CVT gearbox, however the max discount is for the manual variant. 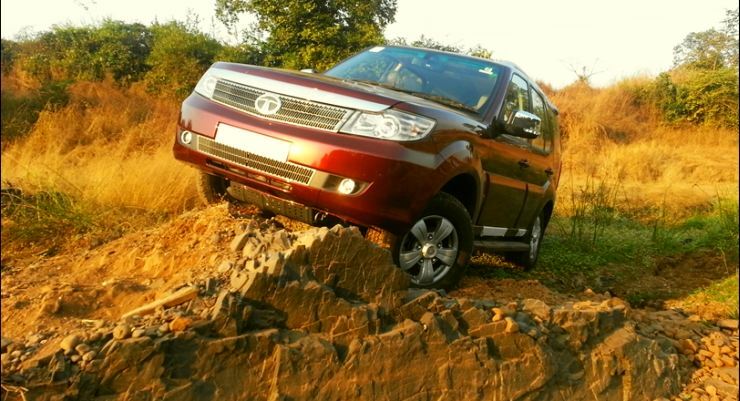 Earlier this month, Tata decided to pull the plug on the Safari and now only has the more premium Safari Storme on offer. While this has a very capable engine and is comfortable, the car still doesn’t feel very modern inside. It isn’t very highly equipped for the price it is offered at. Tata is offering a discount of a little over a lakh for the new Storme. The vehicle is powered by a 2.2 liter engine which either makes 148 Bhp and 320 Nm or 154 Bhp and 400 Nm based on the variant chosen. The Elantra when launched last year was highly popular. While it has been doing good numbers, it seems dealers still have a stock of 2016 cars, which they want to liquidate. You can now get a discount of upto Rs 1 lakh on that, if you are willing to opt for the older stock. The Elantra is powered by either a 1.6 liter diesel engine making 126 Bhp and 259 Nm while the petrol is a 2.0 liter unit making 150 Bhp and 190 Nm.